On Nov 16, 2018, OptionSellers.com took down their site. This Bloomberg article explains what happened. Basically, they had a large position of naked options in natural gas, and a 20% one-day move wiped them out. Losses are estimated to exceed $100 million and forced the closure of the hedge fund. The lesson here is that naked (uncovered) options are much riskier than covered options. We will leave this interview posted here for educational purposes. Selling options on stocks is one way to generate income. Another is to do the same thing on commodities. Today we interview a professional money manager who does just that, and who gives us his prediction for the price of oil in 2016. 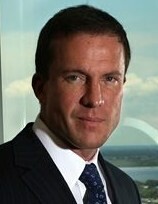 James Cordier is the President and Head Trader OptionSellers.com, a private wealth management company based in Tampa, Florida. BTS (Born To Sell): James, tell us a bit about you and OptionSellers.com. JC (James Cordier): I've been trading commodities for 30 years. In the beginning I was attracted to the high leverage of futures trading but the volatility was scary. So I switched to options on commodities instead. Once I realized that 80% of them expire worthless I started selling commodity options instead of buying them. After having success with that strategy I founded OptionSellers.com in 1999. OptionSellers.com is a licensed CTA (Commodity Trading Advisor) that offers high net worth clients SMAs (separately managed accounts) where the strategy is selling options on commodities to generate income. BTS: What kind of options are you selling? JC: We sell far out-of-the-money naked puts and calls, as well as strangles and condors on about 10 different commodities. JC: We mostly trade metals (gold, silver), energy (gas, oil), and food (coffee, cocoa, sugar, corn), plus a couple of others. BTS: How has it been going? JC: We target 25% return per year. In 2015, which just ended, we achieved 28% return for our clients (net of fees). Which is good considering the stock market returned about 2% and most of the hedge fund guys had a lousy year. BTS: Can you take me through a typical transaction? JC: Sure. If we felt that gold was overvalued, for example, then we could sell calls that were 50% to 100% out-of-the-money and expire in 6-9 months. We might get $700 for the call and the margin requirement is around $1000. A single contract of gold controls 100 ounces, so this is an option on about $100K of underlying value. BTS: Naked or covered call option? JC: For this example, naked. However, commodity options this far out of the money don't move dramatically like at-the-money stock options. We also incorporate a number of credit spread type of trades, which can offer a limited risk aspect. BTS: Do you make any trade adjustments once you've put the trade on? JC: Yes. If the trade moves against us and the value of the option doubles then we will either exit or roll, depending on whether or not we still like the fundamentals. If the trade moves in our favor then once it has lost about half its value we might layer on another one (keeping the original as well). Once the option is down around 10% of what we received for it, we'll buy it back to close it out. Mind you, this is not day trading... these are longer term positions and sometimes we buy them back when they still have 90-120 days until expiration. Not a lot of in-and-out trading going on. The advantage of these longer dated options is that you can let time work in your favor to reverse short-lived spikes or drops. BTS: What about diversification and use of margin? JC: Typically we hold positions on 6-8 commodities at a time. We don't use maximum margin. Our goal is to take an aggressive investment vehicle and manage it conservatively. BTS: What is the difference between selling options on commodities vs. selling options on stocks? JC: We sell options that are much farther out of the money than most people do with stocks. We often sell strikes that are 50% to 100% out of the money. In addition, the leverage in commodities allows investors to get much bigger premiums with substantially smaller margins. JC: They are taxed with a 60/40 rule: 60% as long term capital gains, 40% as short term capital gains. So they get better tax treatment. Plus, you can use commodity options in retirement accounts, just like stocks. BTS: Why would someone want to sell commodities options instead of stock options? JC: We would say "in addition to" rather than "instead of", and many people do it for diversification from stocks. Others do it to target the higher returns. Typically our clients are putting about 15%-20% of their overall portfolio into this kind of investment. BTS: Some commodities, like gold, have ETFs that trade like stocks. Can't someone just buy GLD and write covered calls against it? JC: Yes, that's one strategy. But we find the risk/reward of selling options on gold futures is better than selling covered calls on GLD (the ETF). BTS: There's been a lot of noise in the press about the price of oil. What are your thoughts for oil in 2016? JC: Oil is one of the 10 markets we follow. We trade it quite a bit. It's been a crazy ride from $120 per barrel down to $30. The reason, we feel, is not because of China or the Middle East. We believe it's because the US has increased production from 5 million barrels per day to 10 million. And these other countries just have to sell at any price to keep their government budgets somewhat afloat. Crude oil is often weak in December or January. 10-15 years ago you'd never see it fall in December or January because we needed it for heating. But now natural gas fills some of that role. We feel that Iran coming online with new supply is already priced in. Our net opinion is that we think there will be a rally in oil going into the spring and summer driving season. We believe it will trade north of $40 per barrel by June or July. In order to capitalize on that belief we've been selling naked puts at the $22 and $23 level for June and July. We can collect $600 or $700 per contract, with about $1000 in margin requirement. Oil contacts are for 1000 barrels, so about $30K of underlying commodity per contract. BTS: You've written a 320-page book called The Complete Guide To Options Selling. Tell me about it. JC: Sure. It was first published by McGraw-Hill in 2004. It's now out in its new, fully updated 3rd edition and has been translated into 6 languages. It talks about all aspects of selling options. About 1/4 of the book is about selling options on stocks but most of it is about selling options on commodities. We spell out exactly how it works, how you execute the trades, the risks involved, etc. Once you're done with it you'll know enough that you can start selling options on commodities. It's meant to teach people how to do it themselves. We have another book coming out February 1st called Option Selling On Steroids. It's exclusively for stock option sellers who want to learn commodities option selling. BTS: Excellent. Thanks for your time today, James. For more information on selling options on commodities, please visit OptionSellers.com. Disclosure: This is not an endorsement to buy or sell securities. Investing in securities carries with it very high risks. The information contained within this interview is for informational purposes only and is subject to change at any time. Do your own due diligence and consult with a licensed professional before making any investment. Born To Sell has no affiliation from anyone or any company mentioned in this interview.